Over the next 45 years rapid urban sprawl will dramatically affect the American Southeast, possibly altering the very essence of what the South represents both socially and environmentally. 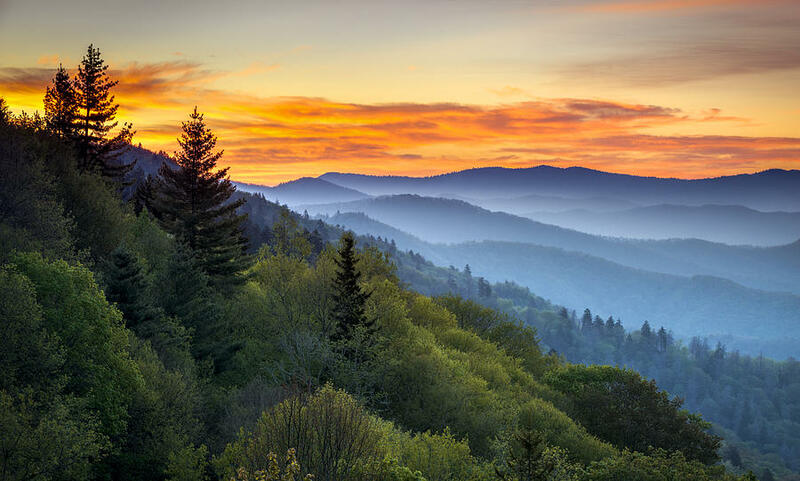 The South, for many years now, has served as a refuge from the blunt, fast-paced Northeast, offering all the charms of the city at a much more leisurely pace. Instead of a house next to an abandoned factory in Rhode Island, the South offered a house under the canopy of some of the most diverse forests in the world. 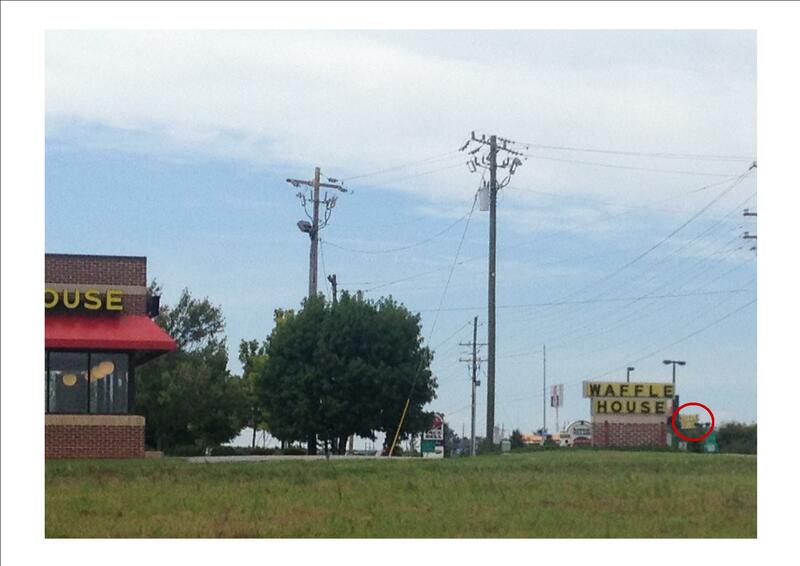 Unfortunately, the South is about to become a victim of its own success. The massive urban sprawl predicted for the Southeast could eviscerate that leisurely lifestyle, that southern hospitality, and that beautiful forestry that has come to define the region. The entire area stretching from Atlanta to Raleigh will likely become one huge paved suburb, unrecognizable from any other generic suburb within the next 40 to 50 years. The South is well on its way to recreated the entire Northeast megalopolis that stretches from DC to Boston, except with even more inefficient land use patterns. This will likely create pollution, traffic, and stress much worse than what people were escaping when they first came to the South. A joint study between the US Geological Survey and North Carolina State University released last month shows urban sprawl increasing throughout the Southeast by between 110 and 190 percent by 2060. This sprawl is largely at the expense of agricultural and forested lands as farms and forests make way for cul-de-sacs and tract housing. The area between Atlanta and Raleigh (called the “Piedmont Region” by the authors) will experience the greatest sprawl, changing from about 10 percent urbanized to nearly 30 percent urbanized by 2060. This is followed closely by an area bounded roughly by the middle and northern part of the Florida up through Savannah (the “Florida Coastal Plain”), which will increase from about 15 percent urbanized to nearly 30 percent urbanized by 2060. This reckless shift of land uses for purely economic purposes will create many negative externalities ranging from the decreased quality of life to the degradation of the environment to higher infrastructure costs (aka taxes). Let’s start with the least controversial, most objective externalities and move to the more debatable one. 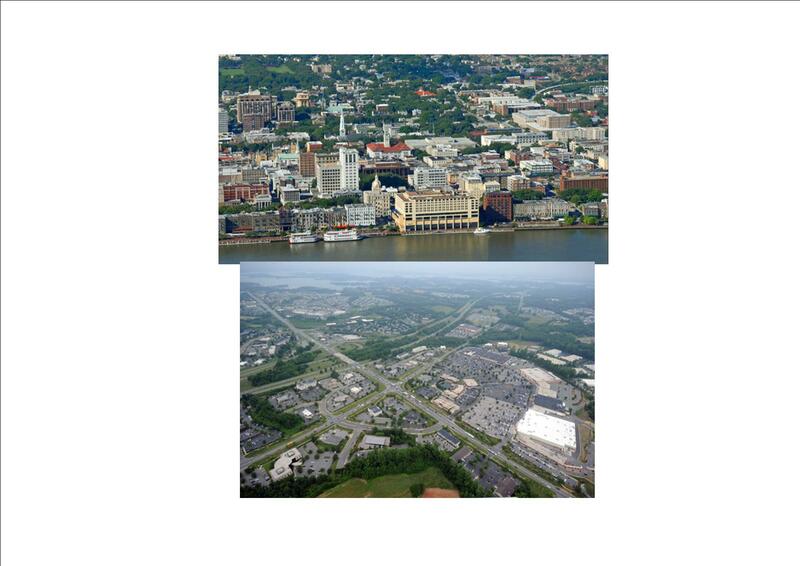 Sprawl and infrastructure costs are positively correlated; as sprawl increases, infrastructure costs increase. This makes sense just thinking about it: if people live farther apart then the cost to run pipes, electrical wires, streets, etc to all of them increases. Luckily, we don’t have to think about it because people get paid to do this research. In addition to necessities, the cost to provide adequate fire and police coverage also increases as more stations are needed to allow emergency vehicles to provide reasonable response times. This additional cost could be directly passed on to the user (you pay fees for the city/county to pave a road to your far-away house, run pipes, wires, etc) or could just be included in taxes and the entire community supports the sprawl. Either way, it’s expensive. Another less controversial externality is the destruction of the environment. More roads and houses equals less natural environment. Not only does the road or house actually displace the natural environment, but it then goes and affirmatively harms the environment with runoff from lawns and roads. While this is sad wherever it happens, it’s particularly sad in the Southeast since our forests are some of the most diverse in the world. Ninety-two percent of all bird species in the United States reside in the South. Yes, 92 percent! That goes along with 69 percent of reptiles and 57% of mammals. 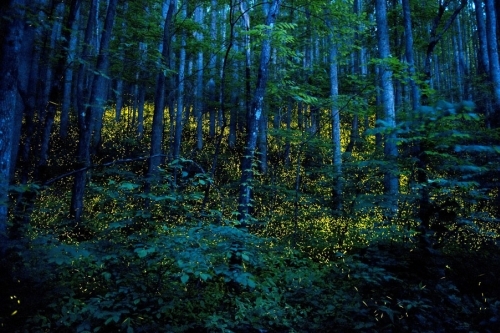 Recently researchers discovered a group of synchronous fireflies in the Great Smoky Mountains National Park. This is significant because prior to this discovery only one other population of fireflies (in Siam/Thailand) exhibited coordinated flash behaviors. Since then a number of other firefly populations throughout the Southeast have shown this behavior. Perhaps one of the most magically diverse forests in the world is more important than comforting ourselves by making sure we can safely see another Waffle House while sitting inside a Waffle House. Comfortably Eat Waffles While Gazing at Another WH Within Just 1000 Feet! At GA 53 and GA 400 in Dawsonville. Quality of life is always controversial because it’s clearly subjective. Unlike the quantifiable costs of running pipes greater distances and ecological destruction, quality of life cannot be easily quantified. Sure we can cite data, but this data is always circumstantial evidence of the happiness of people. Data showing how long people sit in traffic, the rate of heart disease or diabetes, the crime rate, pollution levels, weather, or anything along those lines may suggest that people should feel some way, but it obviously isn’t necessarily an accurate gauge of how people actually feel. It’s important and informational data nonetheless. While the authors’ note that their predictions do not take into account the various ways in which land could be developed into urbanized areas, the likelihood is that most of the development will be low-density and auto-centric. Typical suburban development, characterized by leafy suburban development where everyone pretty much has one or two roads as their only options for commuting in any way, has already proved to cause more traffic than denser areas and to contribute to less-healthy lifestyles. This includes health issues related unsafe walking conditions, increased chances of being in a car crash, and other issues related to sedentary lifestyles due to auto-reliance. As violence in cities approaches historic lows, the gap between crime in cities and suburbs continues to dramatically narrow, and as motor vehicles continue to be the leading cause of death for those between the ages of 16 and 25, suburban development is quickly losing the safety argument. More sprawl creates more traffic and more traffic usually creates more stress and more stress usually makes people less happy. While many different researchers have reached many different conclusions on whether or not suburban or urban residents have longer commutes, there’s really no debate over whether building more roads reduces traffic: it doesn’t. The idea of induced demand dictates that as you build more roads, more demand is created and eventually traffic remains stagnant or gets worse. If the Southeast is destined to create auto-centric, low-dense land use patterns then we are destined to continue to run into the induced demand principle. The Southeast will simply follow Atlanta’s lead and run itself into a negative loop of building more roads to solve traffic problems only to find that traffic just gets worse. In addition to traffic and health problems, sprawled development increases living costs by tipping the housing/transportation balance. While a house in the suburbs may cost less, the costs associated with transportation more than make up for the difference. Residents in the core areas of cities generally have access to cheaper transportation options, including public transit and walking, which lowers their overall cost-of-living compared to suburban residents. The key here is that alternative transportation choices need to be made available. 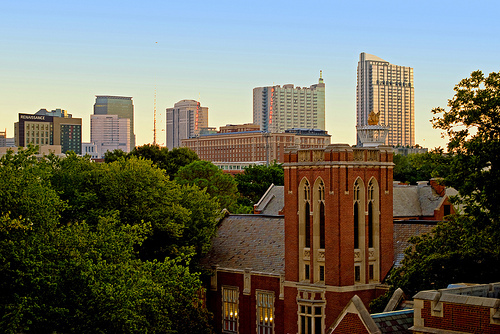 The laid-back lifestyle, hospitality, and abundant environment has come to define the South. People grow up here proud to know that this is what their region represents. People move here seeking refuge from stressful environments; hoping to discover the many beautiful things those who grew up here already know and love. Our connection to the environment must account for something. Our cities and towns have grown up as an extension of nature, seamlessly intertwining the built and natural environments into one living unit. Our largest and most cosmopolitan urban environment is the City in the Forest. Nature most certainly created this relationship from the very beginning with its incessant need to strangle any human development, but we’ve grown with it. Perhaps this relationship with nature is the South. Our constant connection to the environment has allowed us to enjoy the simple, important things in life and not stress about the complications of human society. While in the past we may not have had any choice; nature was going to exert its will and we built our communities based on its demands. Today we could simply pave over it. Eventually it would reclaim the land, but not for many years. This is the choice we face. Our region has grown up in a relationship with nature and that relationship has helped foster the culture and essence of the South. The land has made us who we are. It’s defined the culture of the region for thousands of years. While we want to grow as a region, we want to grow in a smart manner. We need to use our land wisely and not waste it on endless parking lots and cul-de-sacs. The region should grow, but it should take into account smart growth principles such as alternative transportation choices, green spaces, natural spaces, mixed-use, and denser development. Let’s not simply repeat the same mistakes others have made in a way that will destroy almost everything we love about this region.